Today’s Home Office media stories include specialist doctors being able to prescribe medicinal cannabis from next month; an inquiry into abuse at Brook House detention centre, and the Home Secretary confirming that there are no plans to remove the Tier 2 visa cap for doctors and nurses who are non-UK nationals. There is widespread coverage of yesterday’s Home Office announcement that from 1 November specialist doctors will be able to prescribe medicinal cannabis. The Times states that almost 80,000 doctors will have the power to prescribe patients medicines which contain cannabis. GPs themselves will not be able to dispense prescriptions but can refer their patients to the specialist, the papers note. The Home Secretary said he had acted after being moved by “heartbreaking cases” involving children with serious illnesses. The papers note that the move follows several high-profile cases of children with epilepsy, including Alfie Dingley and Billy Caldwell. Having been moved by heartbreaking cases involving sick children, it was important to me that we took swift action to help those who can benefit from medicinal cannabis. We have now delivered on our promise and specialist doctors will have the option to prescribe these products where there is a real need. I’m grateful to the expert panel – who have been considering cases in the interim – and to those who’ve worked hard to bring about this change at the earliest possible opportunity. The Guardian reports on an inquiry which has been launched into the treatment of migrants at Brook House detention centre based at Gatwick airport. The paper claims that the Home Office has agreed to carry out a “independent and far-reaching inquiry” after it was threatened with legal proceedings following allegations of abuse at the centre. The inquiry was launched after the BBC’s Panorama exposed the abuse of detainees at Brook House in September last year. Following the programme two legal challenges were made against the Home Office. The Guardian claims that in a letter in response to the legal challenge, the Home Office said that it will hold an independent inquiry if the legal action is called off. 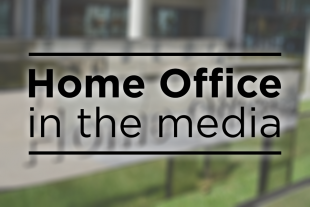 The Home Office has asked the PPO to undertake a dedicated, special investigation, compliant with Article 3 investigation into the matters raised in the Panorama broadcast. The PPO has agreed in principle to conduct an investigation although the terms of reference are yet to be agreed. The Guardian reports that the Government’s decision to allow more overseas doctors and nurses to work in the NHS was only temporary, and restrictions may be re-imposed. In a letter dated June to the Migration Advisory Committee, the Home Secretary said that his decision to remove doctors and nurses from the cap on Tier 2 work visas for non-EU nationals was done on a “temporary basis”, adding that he intends to “keep this change under review”. The change removed doctors and nurses from the cap on Tier 2 work visas and was welcomed by NHS staff groups. Today, the Home Secretary has tweeted in response to the story saying that he has no plans to remove the exemption doctors and nurses have been given from the Tier 2 cap.